We’ve all read about this or that vegetable, fruit, fish, bean, nut, seed or tea that is purported to speed up the process of losing weight. After going through the research, I’ve prepared a list of the foods reported to have special properties when it comes to helping us with our weight loss goals. All of these foods by the way, have been shown to have anti-inflammatory properties. 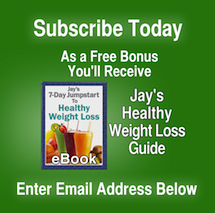 This is also an indication that these foods are disease fighting as well as weight loss promoting foods. Research is showing lower inflammation as one of the keys to good health and it’s a subject I’ll cover in a future blog post. 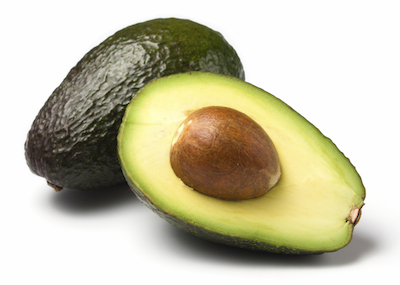 Avocado – Can help satisfy your hunger with valuable mono unsaturated fat, similar to olive oil. Also contains fiber, protein and twice as much potassium as bananas. Good for skin and hair. Supplies vitamin E and B vitamins and folic acid. Pears – Loaded with fiber, one pear has up to 15% of daily recommendation. It’s filling and helps to lower cholesterol. Eat with the skin on. That’s where much of the extra fiber resides. Anti-oxidant and phytochemical rich. Wine – Studies show people who drink wine have less belly fat than liquor drinkers. Red wine contains the anti-oxidant resveratrol which is purported to stop fat storage for 90 minutes after drinking. No alcohol consumption at all is also associated with weight loss however. Therefore don’t drink to lose weight but if you do drink alcohol, wine is reported to be a better choice. Grapefruit – Helps to steady and lower insulin production which can lead to less fat storage especially around the belly. 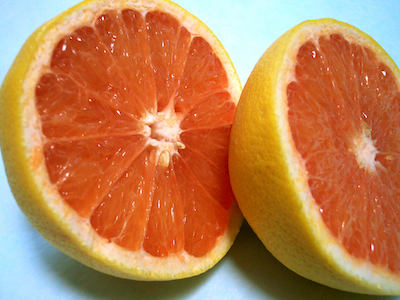 Studies show eating grapefruit before a meal can help with weight loss. Apple – High in anti-oxidants and fiber. Helps steady insulin production for less belly fat storage. Eaten before a meal, it has been shown that people will eat fewer calories overall. Eating an apple a day turns out to be a great idea. Sardines - Nutrition powerhouse and great bargain. High in protein to help normalize blood sugar and promote less betty fat through better insulin sensitivity. High in omega 3s for cardiovascular health and help balance omega 6 intake. Because they are small and in the sea for such a short time, they pose less of a mercury contamination concern than salmon and other larger fish. 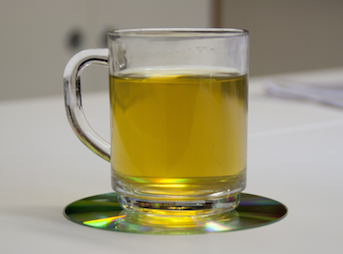 Green Tea - Studies show people lost weight drinking multiple cups per day. Loaded with anti-oxidants. Long history of health-promoting properties. Almonds – Research is showing they can help with weight loss, calorie for calorie, in place of eating crackers or other high carb snacks. Also a handful is a great appetite suppressant. 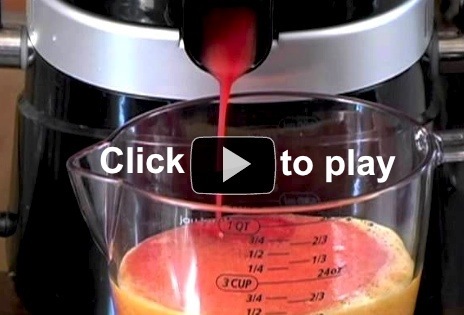 Orange – Jam-packed with nutrition and can aid in weight loss as well. Flavonoids to decrease inflammation. High levels of folic acid and phytochemicals to help prevent cancer and heart disease. Vitamin C for the immune system, eye health, heart health, blood vessel strength and blood pressure. Whether you eat or juice oranges or tangerines, keep as much of the white as possible. It contains herperidin which decreases inflammation, opens up blood vessels and normalizes cholesterol levels. 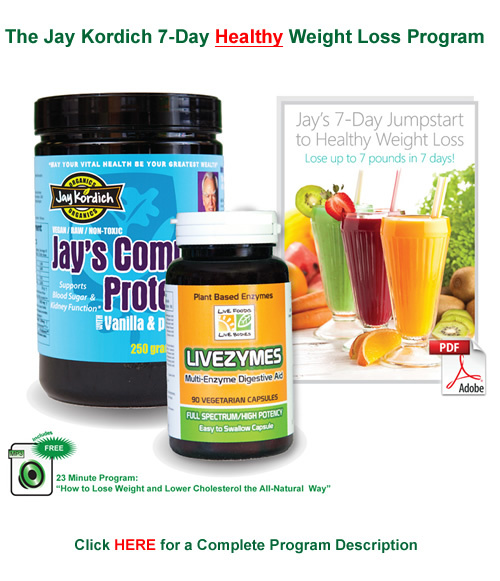 We also wanted to mention our new Jay Kordich 7 Day Jumpstart to Healthy Weight Loss Program. You can read more about it in last week’s blog post by clicking here. This is the season for tangerines and they make great tasting juice. 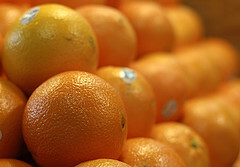 A nice alternative to regular oranges, tangerines are a little less sour and are rich in nutritional value. They’re a significant source of vitamin c, folate, beta carotene plus minerials such as calcium, magnesium, phosphorus and potassium. How many times have you been at the grocery store with your children and when you get to the freezer section, everybody wants ice cream and popsicles? Have you looked at the ingredients in these foods? Sugar, artificial sweetner, artificial colors, additives, preservatives, etc.,.! Now you can make your own Popsicles at home with our new Power Grind Pro Juicer. Get your children involved in the process too. They’ll have fun helping you. Watch our step by step video below for easy instructions. Just take 3 oranges, peel them first, and 1.5 cups fresh raspberries. Alternate putting in a section of orange, then some berries and then orange to flush out the berry juice. This will make at least four popsicles, depending the size of the popsicle molds you use. Freeze overnight or wait 4 hours and they will be ready to eat. Yum.